Talk to a human, or better still, an engineer. You’re not going to hit a ridiculously long phone menu when you call us and your email isn’t going into a melting pot, never to be seen again. 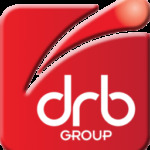 At DRB, we provide the exceptional service we’d want to experience ourselves. If you know who you need to speak to, head over to our people page. Otherwise, call reception on 01244 280 280 and they’ll point you in the right direction. Book a tour of our 6.5-acre workshop to see the breadth of our operations and meet the people behind the coveralls.